Lightseekers is a new toys to life connected game with collectible figures, trading cards and an app. Lightseekers started off as a Kickstarter crowdfunding campaign and now the first products are available to pre-order (US) in some countries (more to follow) for a July 1st delivery date. 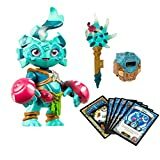 Judging from my kids' reactions to what they've seen of Lightseekers so far this brand is going to be popular. My kids already play collectible trading card games and have played every Skylanders game through several times. They like the take-anywhere convenience of tablet-based gaming. 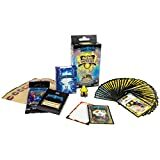 There's quite a bit for parents to get their heads around with Lightseekers and how it works and what you need to buy. Let's take a look at what you'll need to know. 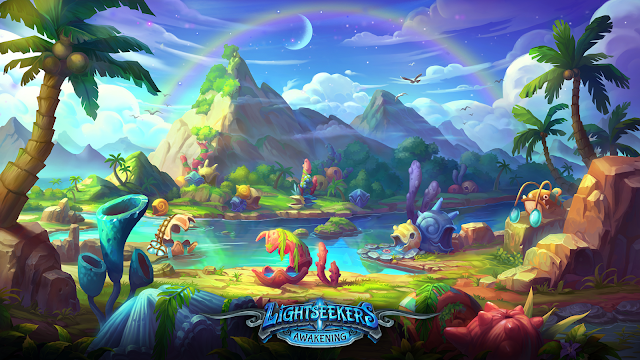 A Lightseekers game app which is available for iOS, Android and Amazon Fire devices. The app can be installed and played for free. Physical 7" tall posable toy figures. A 'fusion core' backpack that adds tech and connectivity to the figures. Add-on physical accessories that add features to the game. There's a collectible trading card game which can be played without the app. The cards have augmented reality features and can be scanned into the game to unlock rewards and in-game abilities. 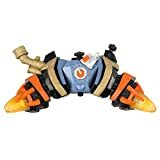 Initial purchase of Starter Kit with figure and fusion core plus an optional (but they're going to want it) flight pack which turns a figure into a games controller. An early access version of the app is available for iOS and Android in advance of the release of the figures. The Lightseekers game has a back story and your character must complete quests. The game involves lots of battling which can be played at different levels of difficulty. There are casual mini-games too. The game play is introduced really gradually with lots of help so you know what you need to do. There's a fair bit of text telling you the story so it does encourage kids to read. You can also turn on a voice-over feature to read the text. There are two different starter packs, one with Mari as the included figure and one with Tyrax. Each starter pack includes: a figure, a fusion core backpack, an attachable weapon and some trading cards. The 'fusion core' is a backpack that slots on to the back of the figure. It contains a mini computer which controls voice, light and vibration effects for the figure. It also handles communication with the tablet and has physical action buttons. You also get an attachable weapon, the app (via the fusion core) can tell which weapon is connected to a figure. The starter pack also includes trading cards which can be used with the app or offline with the trading game game. You will be able to buy additional figures that you can play with in-game by swapping the fusion core backpack. There will also be additional weapons that can be swapped between characters. And there are 'flight pack' add-ons that allow you to use a character as a games controller by picking up the character and moving it. The Lightseekers trading card game is a tabletop strategy game that is played offline. You can buy starter decks and there will be booster packs. Kids will be able to trade cards with friends. The cards can also be scanned in the Lightseekers app to access additional content. The cards also have an augmented reality feature which is a nice addition. You can actually try it out with a virtual card on the Lightseekers website. Lightseekers is definitely looking interesting. First and foremost it looks like great entertainment that makes good use of up to date technology. It looks like extensibility has been built in to Lightseekers from the start so they will be able to add new tech features without you needing to purchase a new starter pack every time. We're impressed that you don't need the very latest device to use the Lightseekers app. I've tried the app on my old iPad 3 and it works. It's also available for Amazon Fire devices right from the start which means you don't need an expensive device. We like that there's a female character available at launch as well as a male character. This style of game is likely to have a stronger appeal to boys but girls are made to feel welcome. As a parent I much prefer this model of monetisation to in-app purchases or ads. I understand how much effort goes into developing a game like this and I am willing to pay for content. But very few virtual content purchasing models have appealed to me. The combination of figures and cards that kids will play with anyway seems like a good approach. There is a 'Daily Rewards' feature so we'll have to see how that works. Games that require kids to do something in a given time period every day can be stressful when they interfere with other activities. The quality of the graphics and design is very high. I have played a bit of the game myself and like the feel of it. The real test will be once my kids get to really try everything out with the figures and cards. We love that the 'fusion core' is described as a high-tech mini computer in the promo material. We do lots of projects with the BBC micro:bit and Adafruit Circuit Playground mini computers (or micro-controllers) which allow kids to learn about how this kind of technology works. Lightseekers is looking like the kind of game that I'm happy for my kids to spend time (and money) playing. (Disclaimer: I'm an RPG fan myself.) Kids deserve some downtime and video game experiences like this are a nice middle ground between passive consumption and actively creating.